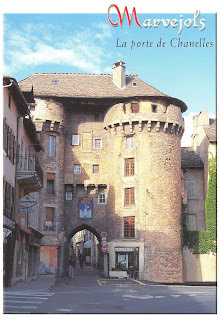 Marvejols is a commune in the Lozère department in Southern France. 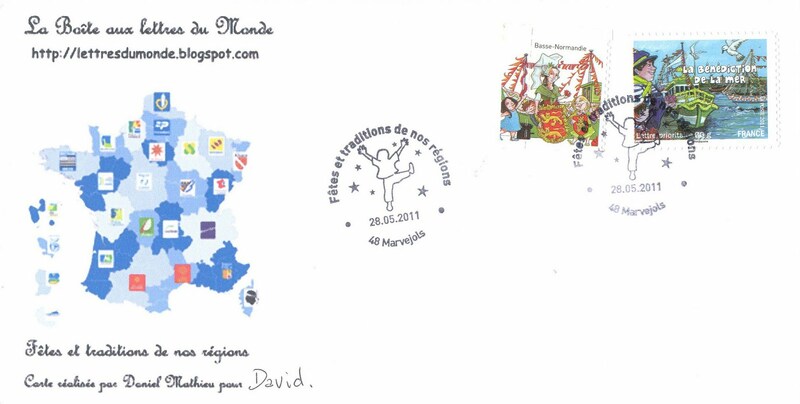 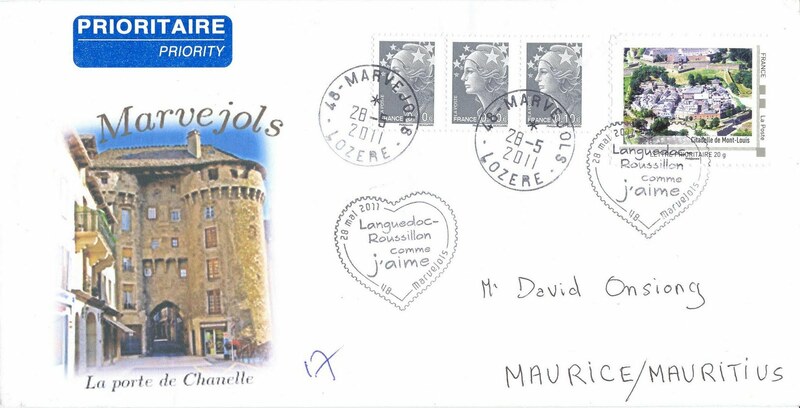 This charming cover sent on May 28 last features a special heart-shaped postmark which reads: Languedoc-Roussillon comme j'aime (Languedoc-Roussillon how I like). 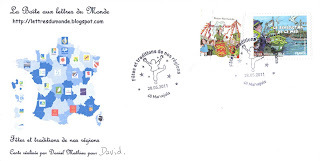 The customised stamp on the far right represents the Citadelle de Mont-Louis (Citadel of Mont-Louis) which is situated in the Pyrénées-Orientales department and the Languedoc-Roussillon region.